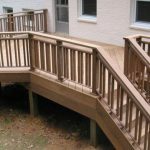 J. Gibson McIlvain Lumber Company prides themselves on providing premium customer service and products. They collaborate with domestic and international mills for custom orders and high quality lumber of the FAS variety. FAS is the highest grade of lumber set by the National Hardwood Lumber Association. The NHLA creates and maintains the standards for all lumber companies. J. Gibson McIlvain takes great pains to follow these standards carefully. 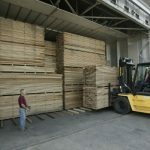 Knowledge of the meticulous process of lumber grades is key to understanding the market for wholesale lumber. Builders, wood workers and professional craftsmen all look to the NHLA standards. 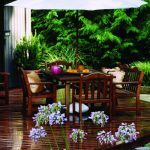 J. Gibson McIlvain is an expert due to their extensive knowledge of each species of wood that passes through their yard. This expertise makes them a top quality wholesale lumber supplier. J. Gibson McIlvain uses a grueling, minutia-filled process to grade their lumber. 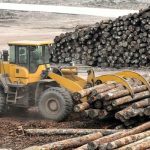 Customers who internalize the following 10 foolproof steps will be able to understand the process, and even do a bit of wood grading on their own. 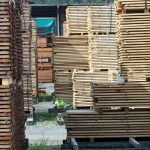 An amateur will not assess lumber with the quick assurance of a trained professional; however, these steps, along with a basic knowledge of NHLA terms, allow anyone to relatively determine the grade of a board. Step 1: Find the specifications for the particular species of lumber. Step 2: Find the board’s SM (surface measure). Step 3: The grade relies on the lowest graded face, the poor face. Find this and begin. Step 4: Each species has specific grade rules. Follow those to decide the grade of the poorest face. Re-check the decision again the specifications for the grade. Step 5: Measure the board for size requirements. Step 6: Determine the amount of clear and sound cuttings available. Check against the grade requirement. Step 8: Determine the amount of maximum cutting area and how many cuttings it will yield. Check the cuts for specific size requirements. Step 9: Repeat steps 1-8 on the other side of the board. The final grade will depend on both sides. Step 10: Review each qualification again. Include allowances for wain, pitch and imperfections. Only now can a grade be assigned. This list is by no means extensive. Professionals, like those at J. Gibson McIlvain, rely on experience and precise tools. A more detailed explanation, illustrations and discussions are available through the NHLA. J. Gibson McIlvain also offers in depth explanations in person or over the phone. Their headquarters are in White Marsh, MD, just outside of Baltimore. Contact them today for a free initial quote. 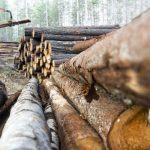 How are lumber grades determined?